Research has shed fresh light on prevailing consumer workout preferences, yielding valuable insights on how club operators can pack their group exercise studios. What’s the most popular type of class you can offer in your fitness studio? Could it be a high-octane HIIT class, a soul-nourishing yoga session, or a solid-and-steady strength workout? The numbers are in and the results are conclusive – indoor cycling leaves all others in the dust. Several new research pieces show indoor cycling to be the most popular class category among members. Findings from the upcoming Les Mills Global Consumer Fitness Survey (spanning 12,163 fitness consumers across 22 countries) indicate that 20% of the global fitness market are currently doing or would consider doing indoor cycle classes. Meanwhile, the new “Moving Communities: Active Leisure Trends 2018” report from the DataHub and ukactive concludes that Indoor Cycling classes lead the way in health clubs, accounting for 13% of total group exercise attendances last year. Yoga and Pilates-type classes were joint second (7% each), followed by BODYPUMP™ (6%) in the report, which used data from 3 million customers and 150 million individual visits across 396 health clubs. So what does this mean for club operators? The explosion of cycle-based offerings in recent years – spanning experience-led boutique classes, home and virtual-based workouts, as well as performance-focused classes – has broadened indoor cycles appeal and demonstrated that there is a big opportunity for differentiation with cycle. This trend has been well-documented; but while some industry observers have suggested that indoor cycling has reached its peak, the latest findings paint a markedly more optimistic picture for the category. 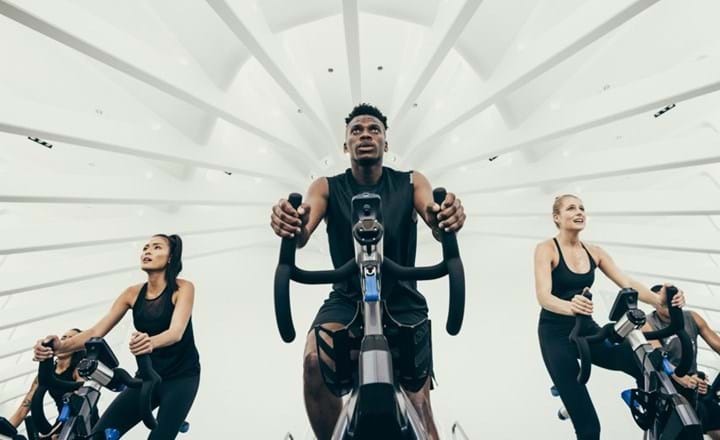 Far from topping out, the numbers highlight significant latent potential for indoor cycling, with 29% of Millennial exercisers either currently participating in Cycle GX or considering doing it, according to the Consumer Fitness Survey. This is great news from an operator perspective, with indoor cycling offering a high yield per square foot and an ability to attract a wide range of members as a low impact workout with a wide range of formats. 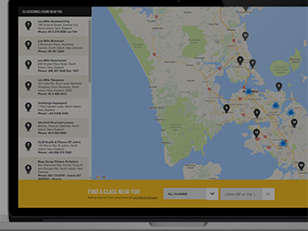 It’s especially true at Resolve Fitness in Australia, which has been successful in engaging huge cross-sections of its membership base through indoor cycling. "It’s attractive to a wide range of ages – our eldest regular rider is 84-years-old and he takes part in at least 3 Instructor led classes a week,” says Club Manager Freyja Gunn. The new reports suggest that this broad appeal will play a role in the continued growth of indoor cycling. But of greater significance is the fact that consumers aren’t just willing to be enticed by the category, they’re increasingly happy to spend substantial sums of money on it. Driven by heavyweights like SoulCycle and Flywheel, cycle has been the standout star in the inexorable rise of boutique offerings since the start of the decade. 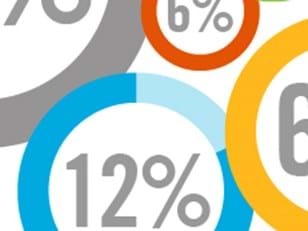 But with 86% of boutique users also having a paid membership elsewhere (2016 IHRSA Health Club Consumer Report) the numbers indicate that most of these visitors are traditional health club members who are heading to boutiques to get their cycle fix. This is supported by the latest findings from the Consumer Fitness Survey, which indicate half (51%) of global fitness consumers are using paid alternatives to multipurpose health clubs, while a third (33%) of multipurpose health club members are also paying to do gym activities elsewhere. At present, members are willing to stick with their club, while shelling out extra for varied fitness experiences. But it remains to be seen how long this will continue before consumers start to ditch their membership direct debits and branch out further in search of their fitness fix. So how can clubs counter this retention risk and offer the experiences their members are searching elsewhere for? The answer, it would seem, lies within. Research shows that members who use specific cycle studios spend on average US$111 per month on membership fees vs US$52 average member spend on multipurpose facilities (IHRSA Boutique Studio Phenomenon 2016). So given the significant growth of indoor cycling in recent years – both in terms of the pool of people looking to try cycle and spend on the category – it’s clear there is significant untapped potential for traditional clubs to convince greater numbers of its members to try group cycle with them. But when you look at the indoor cycling numbers of high performing clubs compared with the industry average, it becomes clearer still that many clubs are significantly underestimating the scale of opportunity around group cycle. In a typical health club, the cycle studio sits empty for 80% of the time, costing up to US$180,000 in lost revenue. These clubs invariably offer the same indoor cycling class a couple of times a day, and it attracts the same people. But the most successful clubs understand that just like other group exercise classes, different type of cycle programs appeal to different target audiences. Take West Wood Clontarf in Dublin as a case in point. By taking an holistic approach to its indoor cycling offering, the club has turned the tables on studio optimization to reach an impressive 80% occupancy rate. “We used to have the normal spin classes, that worked well, but we felt the studio needed rejuvenating because the numbers were dwindling,” says Group Fitness Manager Tine Bogsted. 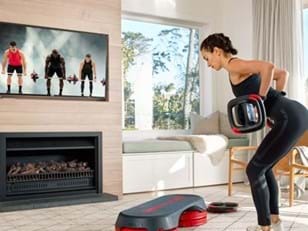 “So we brought in the cycle package from Les Mills (comprising THE TRIP™, LES MILLS SPRINT™, RPM™ and RPM Virtual) – and since then the studio has gone from strength to strength. There are plenty of ways for lcubs to make ‘exercise on a bike’ appeal to a broad range of members – provided they are scheduling programs that have specific differences, and cater for different member needs. At Fitnesscamp Westerwald in Germany, the club recently bet big on a new group cycle studio, where the quality decor and breadth of programming has helped the club attract a wide range of new members, including sports teams, cycling fans, corporate members and schools. “Our cycle-classes are now heaving, with an average occupancy rate of 85% and some classes are just completely sold out,” says Alexandra Martin, co-owner and Group Fitness Manager of Fitnesscamp Westerwald. These world class-examples are getting a greater return on their investment and ensuring their share of members’ wallets isn’t going elsewhere. By offering variety and options, they are packing their cycle studios, while gaining the resultant benefits in retention and referrals from enhanced member engagement.